Japanese language Apple blog Mac Otakara posted screenshots purportedly from the app "System Status" running on a fifth-generation iPod touch, revealing some of the new media player's specifications. 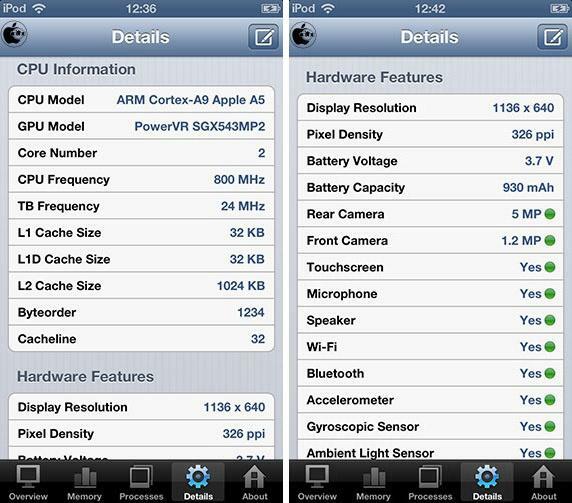 If the images are to be believed, the iPod is running an Apple A5 system on chip based on ARM's Cortex-A9 architecture, with the same clock speed and on-board PowerVR GPU used in last year's iPhone 4S. Further details show a display resolution of 1,136-by-640 pixels, with a pixel density of 326 pixels per inch, matching the recently-released iPhone 5's 4-inch Retina display. Unlike Apple's latest smartphone, however, the iPod touch carries a 3.7-volt battery delivering 930mAh of power, slightly less than the 3.8-volt 1,434mAh cell found in the iPhone 5. This is to be expected as the iPod doesn't need to run power-hungry cellular communications components. As for the iPod touch cameras, the rear-facing shooter appears to be a 5-megapixel part, while the front-facing unit used mainly for FaceTime calls over Wi-Fi comes in at 1.2-megapixels. 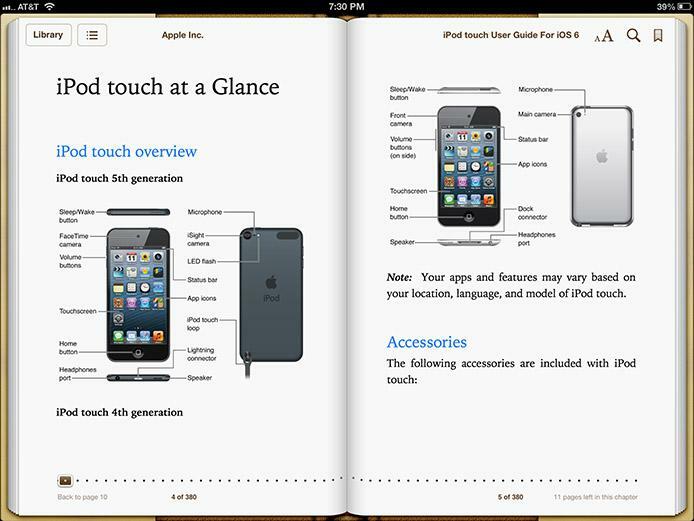 Apple also released the official user's guide for the newest iPod touch, which can be downloaded for free from the iBookstore. While the digital publication offers little in the way of new information regarding the device, it provides an in-depth look at what customers can expect when the product begins shipping later this month.